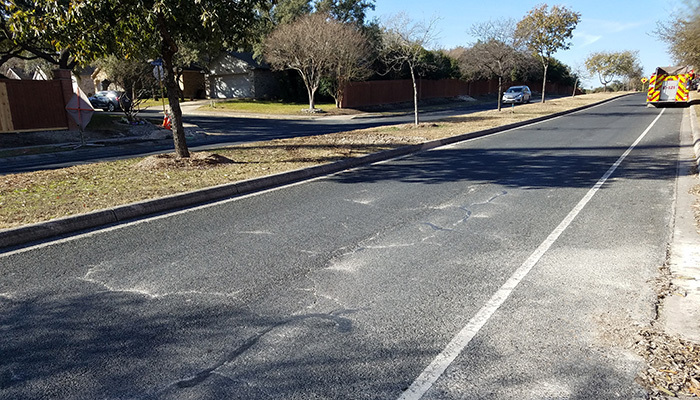 The Alamo Regional Mobility Authority (ARMA) selected KFA to design the reconstruction of a portion of West Military Drive. West Military Drive is located at the edge of the city limits of San Antonio and is a primary collector for the Westcreek Neighborhood. The roadway had been experiencing high traffic volumes on the two-lane roadway as well as experiencing pavement failures due to age and the heavy traffic. KFA is preparing a roadway schematic for the reconstruction of Military Dr. Multiple roundabouts are being evaluated as potential solutions at the intersections of Westcreek Oaks, Saxonhill, and Kingsbridge to alleviate delays from the significant turning movements at the intersections. KFA is also evaluating the limited roadway drainage network and proposed potential improvements to reduce localized flooding. One of the key focuses of the project will be to maintain traffic during construction. Detour options could add more than 20 minutes of travel time for commuters and are not a viable option. West Military Dr.is also the only access road for approximately 100 private residences and carries significant school bus traffic from the three nearby schools. 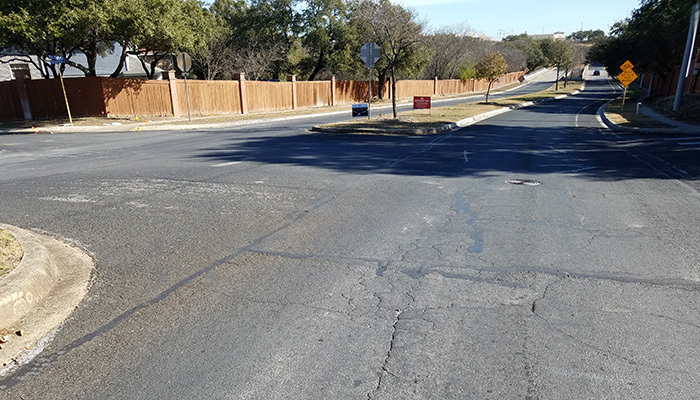 The existing lanes were not wide enough to handle two-way traffic so KFA is evaluating temporary pavement and other options complete the project in the most efficient/ cost effective manner possible. 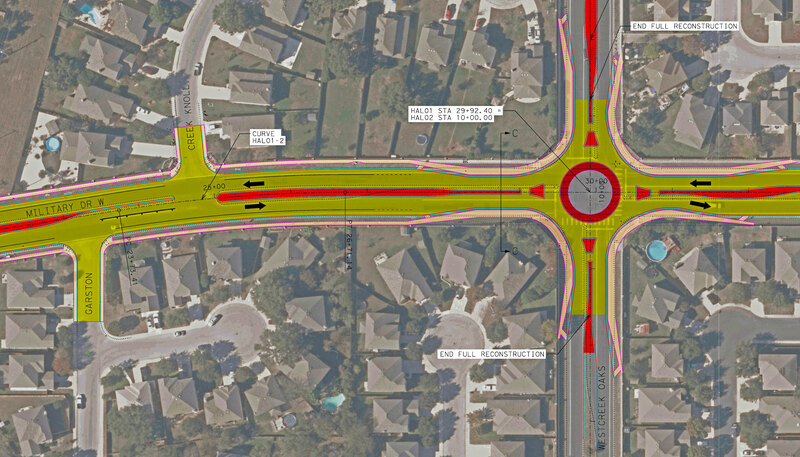 After proposing the roundabout at the intersection of Westcreek, KFA was directed to look into additional roundabouts at two other intersections. The additional roundabouts are currently being evaluated. This project decrease travel time and improves flow in the Westcreek community. The roadway had been experiencing high traffic volumes on the two-lane roadway as well as experiencing pavement failures due to age and the heavy traffic. KFA prepared a roadway schematic for the reconstructed roadway, evaluating vertical curve elements to ensure adequate sight distance.